Bushwick's tight-knit arts community draws on the collective decades of experience some locals have keeping unconventionally constructed spaces functional and safe. Fire is a constant worry for the people who live, work, and hang out in underground art spaces, like the one that consumed a warehouse in Oakland, California earlier this month. Since the Oakland fire, the DIY art and music scene that flourishes in basements and warehouses nation wide has gone on much as it always has. Benefit shows were held for the residents of the Oakland space, as benefit shows have been held after other fires, and denizens of the underground art scene looked for solutions from within, things they could do themselves. Eight days after the fire, Bushwick music venue and artist live/work space Silent Barn held an emergency response teach-in. Two instructors led the workshop, which was based on skills they had gathered from other ad hoc trainings over the years. “Given Oakland, we thought to give the training while it’s on people’s minds,” said one of the two instructors, who wanted to remain anonymous, between bites of a noodle casserole lunch. The instructor is loosely affiliated with Silent Barn, and decided to hold the training shortly after hearing about the fire in California. Silent Barn is well acquainted with fire safety issues. Their original space was an illicit one, and was shut down by the city for a fire code violation. The current space on Bushwick Avenue is above-board, and abides by fire codes and inspections. Nevertheless, an electrical fire there in September 2015 destroyed one resident’s room and belongings. After the fire, Silent Barn appointed its own "fire marshal." Once a month, the marshal inspects the building for fire hazards, like overburdened power strips and flammable clutter, and makes sure smoke detectors are working. Smoke detectors are critical. A RentHop study of New York City data found that Bushwick north of Wilson Avenue was New York City neighborhood tabulation area with the city's highest proportion of smoke detector violations. 21.4% of inspected rental units did not meet the city’s requirements. Those regulations require there be a working smoke detector in every apartment, and that it be within 15 feet of the “primary” bedroom. The Silent Barn training was less focused on those everyday measures, and more about how to respond in an emergency—on “spreading calm,” as a second anonymous instructor put it, and figuring out when someone needs help getting out of a building. The instructors also discussed how to navigate a 911 call, which the event organizers considered especially important for a community that is traditionally wary of police and fire officials. During a break at the training, attendees swapped stories about the overcrowded, uninspected places they had called home, recalling cluttered hallways and lone exits. One attendee described a building with one staircase and a dumbwaiter, where she remembers wondering if she would be able to shimmy down the dumbwaiter shaft if the stairs were on fire. Even for a fire-cautious space like Silent Barn, the Oakland fire prompted even more attention to fire safety. At the end of the training, Eli Dvorkin, a founding member of Silent Barn, jumped up on a stage in the middle of the room to announce a fire safety work day, inviting Silent Barn supporters to assist with making sure that the space's comprehensive fire safety strategy is airtight. Silent Barn isn't alone in undertaking initiatives like its work day. A document called Harm Reduction for DIY Venues has been making the rounds on corners of the internet that are digital counterparts to IRL underground art spaces. A handful of other resource lists are circulating, too, including a list of engineers and architects willing to consult with underground spaces about fire safety and notes from half a dozen safety trainings in other cities. Despite the community’s work to be safer, there have been reports of fire marshals inspecting such spaces across the country and closing them down for fire code violations. Fire protection experts warn that fire codes should be followed, not amended with impromptu trainings, to prevent disaster. 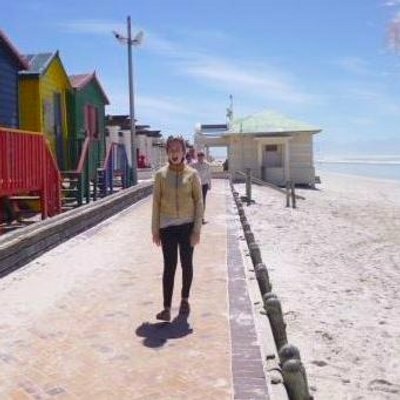 Lorraine Carli, a spokeswoman for the National Fire Protection Association, worries about these art spaces at the margins. It is important to follow fire codes, and to keep up with inspections, Carli elaborates: these regulations do not exist to stifle creativity, but to protect people, and training people to be prepared in a fire might give them a false sense of security when it comes to living in illegal spaces. “Codes exist for a reason,” she emphasizes. But up-to-code buildings cost money many artists do not have, which means they face a tough choice: They can either leave the cities that support them to live in safer buildings elsewhere, or stay in a big city where they have a better chance of making a living, while potentially risking their lives in unsafe spaces. For now, it seems that the prohibitive cost of conventional living in New York and the country's other major metropolitan areas is a challenge that much of America's creative class is willing to take on. In Bushwick, those creatives are lucky enough to have a strong support network. 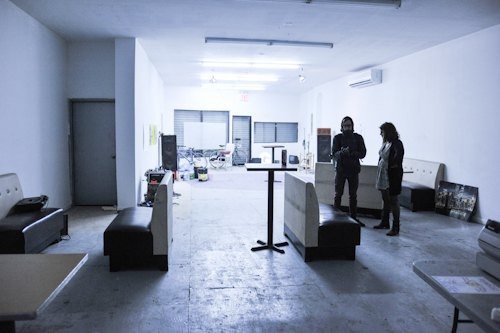 Featured image: Bushwick DIY hub Silent Barn's main venue space shortly after the Silent Barn collective signed its lease for the Bushwick Avenue space in 2013. Photo by Maria Gotay for Bushwick Daily.